The MIC diet is a medically assisted weight loss program that involves taking injections along with following a reduced calorie and carbohydrate diet and increased physical activity. As part of the diet, your health care provider might also recommend B-12 shots to boost your energy and augment weight loss. No evidence supports the use of MIC or B-12 injections for weight loss, and they may have negative health consequences. MIC stands for methionine, inositol and choline – the primary compounds in the injection. The injections are taken weekly for a period of about three months to boost weight loss. Methionine, inositol and choline are known as lipotropic substances that allegedly help you burn fat while maintaining proper liver function. You might take the MIC injections as part of the controversial HCG diet in which you also inject yourself with pregnancy hormone, human chorionic gonadotropin hormone, and follow an extremely low-calorie diet. All of the compounds in the MIC shots are naturally occurring in the body. However, their role in promoting weight loss and boosting energy is unfounded. Methionine is an amino acid that supposedly helps prevent excess fat buildup in the body. Inositol, as part of the B-complex of vitamins, is supposed to help redistribute body fat. Choline is another compound that is classified as part of the B-vitamin group and does play a role in the body’s ability to transport fats through the blood. MIC shots may also contain other amino acids that proponents claim have special impact on weight loss. Vitamin B-12 may be administered as a separate injection along with the MIC shots, or a dose of B-12 might be included as part of the MIC “cocktail” to boost energy. Although the concept of an injection that boosts weight loss is appealing, no scientific evidence supports the claims that it actually works. Unless you suffer from a deficiency in B-12, the shots will probably have little effect in terms of giving you more energy. Although the MIC and B-12 injections are unlikely to cause harm, unless you are on specific medications that interact with the compounds, they can set you up for failure. Instead of adopting sustainable lifestyle changes that can help you maintain a healthy weight for the rest of your life, you seek magical solutions that provide instant results. Even if you do manage to lose weight with the MIC diet and B-12 shots, it is likely to return when you go back to your old eating habits. The weight loss experienced on the MIC diet is likely due to the reduced-calorie diet and regimented exercise plan, not the injections themselves. If you use MIC injections along with HCG injections, you are introducing a lot of foreign compounds into your body – increasing the risk for potential complications. If such a thing as an effective weight loss injection existed, medical clinics across the country would use it to reduce the health risks related to obesity. 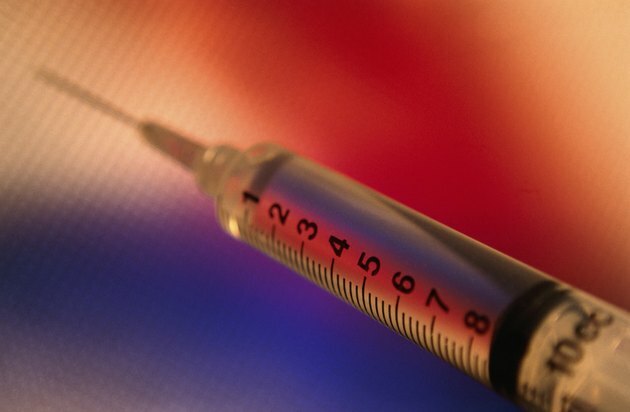 The injections can be expensive, especially when taken for an extended period of time. Always consult your regular physician before taking any exogenous substance, even if you are treated in a medical-based weight loss clinic.